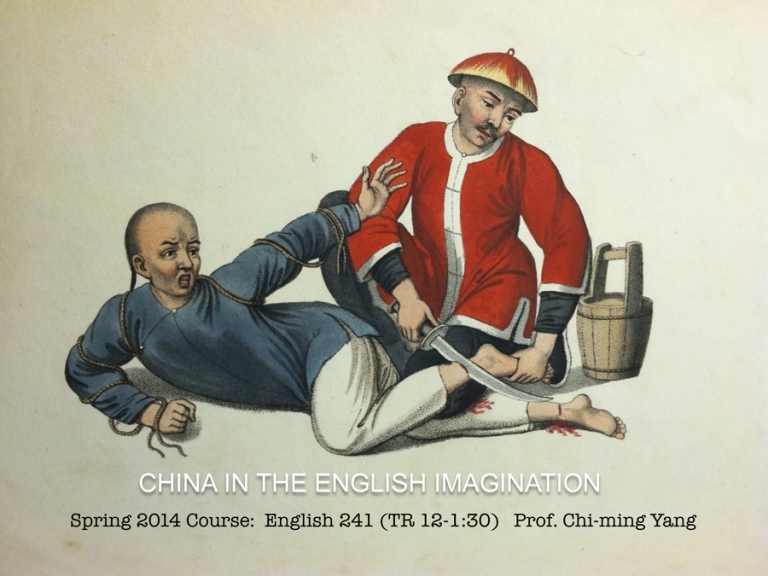 This course explores the china-mania that spread across England and Europe in the eighteenth century, from chinoiserie vogues in fashion, tea, porcelain, and luxury objects, to the idealization of Confucius by Enlightenment philosophers. How was Asia was imagined and understood by Europeans during a period of increased trade between East and West? The course will consist primarily of British and French literature and art of the 18th century. Texts range from Oriental tales, novels, plays, and poetry, to newspaper essays and economic, scientific, and philosophical tracts. The course is designed to provide historical background to contemporary problems of Orientalism, Sinophilia, and Sinophobia. Assignments will include one class presentation + annotated bibliography and a choice of either three short essays (5 pages each) or one longer essay (15 pages).